Cross-border e-commerce (CBEC) is an exciting channel for foreign businesses looking to get a slice of the Chinese market. Through CBEC, you avoid the costs and headache of setting up your corporate presence in China. But although it is one of the most efficient ways to get your products into the homes of this vast market, it still requires patience, and most importantly, an intimate understanding of online Chinese consumer. Chinese online consumers behave very differently to their Western counterparts. Their path to purchase is programmed to be different: shaped by integrated ecommerce platforms and channels that themselves reflect the inherently social culture in China. Shopping online here has an emphasis on exploration, where discovery and purchase are molded into one exciting customer journey. 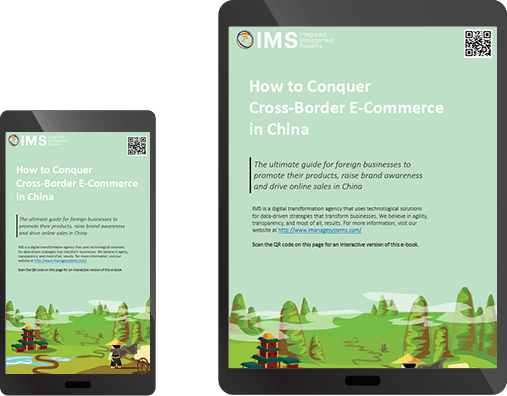 Don’t underestimate the change it takes to build a successful cross-border e-commerce strategy in China. Download our guide to find out more.